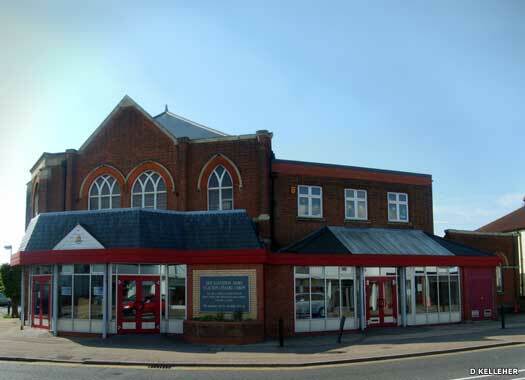 Trinity Wesleyan Methodist Church is inside the junction between Pier Avenue and Rosemary Road West in Clacton-on-Sea. Methodist preachers first appeared in Great Clacton in 1794, but it took until 1824 for the first of several Methodist chapels to be built in the region. 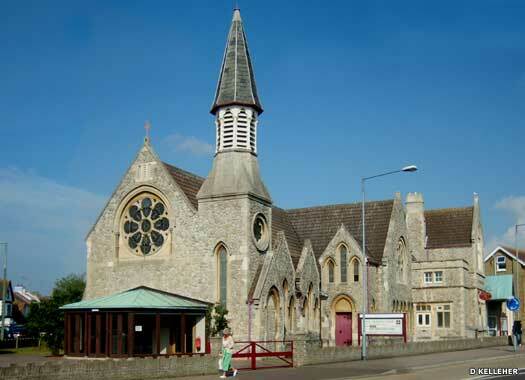 Trinity Church was built in 1877 in concrete with Kentish Ragstone facings. 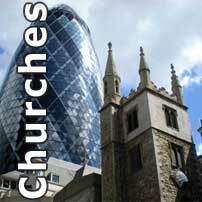 The original cruciform building had a central pulpit, and no organ until 1885, when one was purchased from Melrose Castle in Scotland. Pier Avenue Baptist Church is on the south-west side of Pier Avenue, midway between Trinity Church and Old Road. A brick chapel was built here in 1902 (and still survives, as the Fellowship Hall), despite the existence of Christ Church Union Church. A larger, corrugated iron church replaced this in 1908, and the present, more permanent structure was built in 1928-1929, with foundation stones being laid on 7 November 1928 (one on behalf of the members of Christ Church). Salvation Army Citadel is on the south-west corner of St Osyth Road and Old Road. 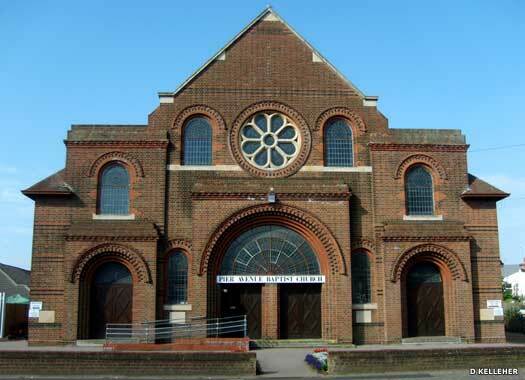 Originally opened in 1901 as Clacton Primitive Methodist Church, the building was renamed Zion Church before the Methodist Union of 1932. Then surplus to requirements, it was reconstructed in 1952, and opened on 30 April of that year as a Salvation Army citadel. Behind the main building (around the corner to the left of the photo) is the Army's Catherine Booth Community Centre. All photos on this page contributed by D Kelleher.